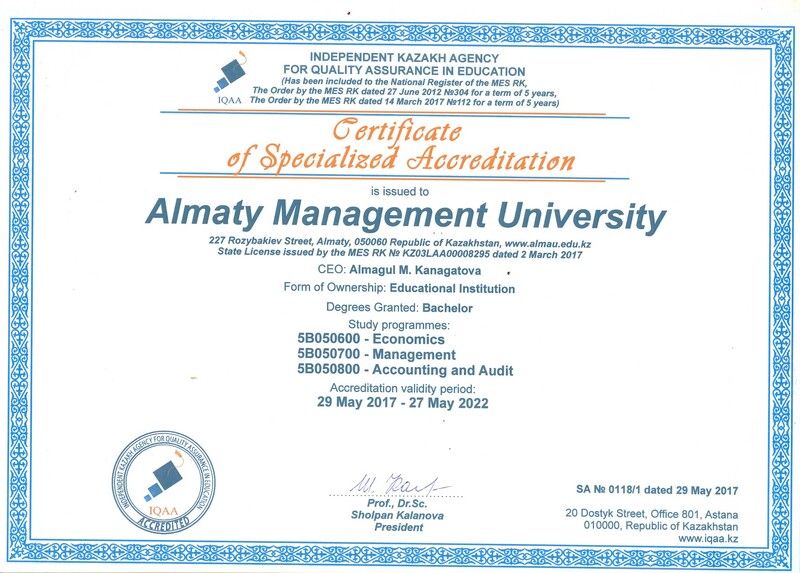 Non-commercial educational institution “International Academy of Business” (IAB) (now Almaty Management University (ALMA University)) operates based on a licence of Kazakh Education and Science Ministry (ESM). 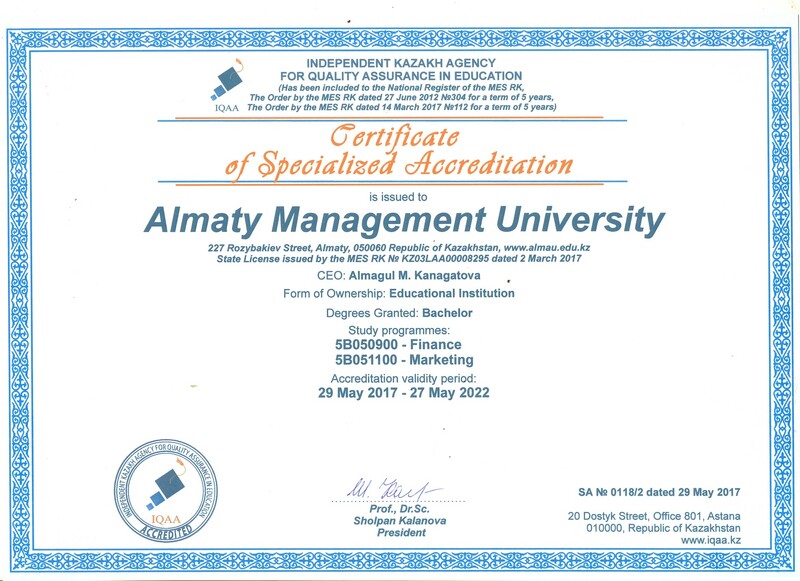 In 2012 following the results of Kazakh Education and Science Ministry’s review board IAB (now ALMA University) was certified for 5 years. The lifetime statutory license АА 0000165 dated 2 February 2002 year. We are happy to announce that according to the official results of Times Higher Education Impact Ranking, our Almaty Management University was ranked 301+ among the most impactful universities in the world. Kazakhstan is the only Central Asian country listed among 76 countries in the ranking and is represented by Almaty Management University and L.N.Gumilyov Eurasian National University. On 21st September The Independent Kazakhstan Agency for Quality Assurance in Education (IQAA) published the winners in several categories. 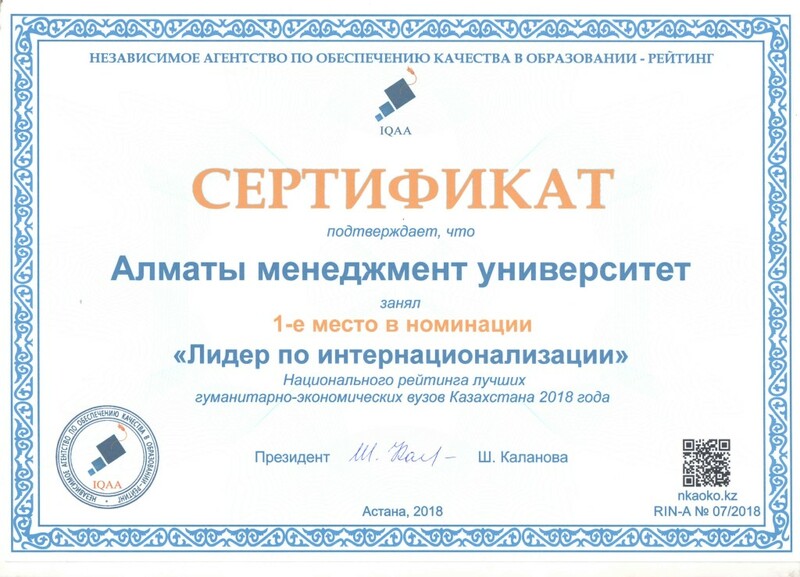 Almaty Management University took the 1st place in the nomination "Leader in Internationalization" and took 1st place in the nomination "Leader in promoting the university on the Internet space". Specialty "Information Systems" - 21 place. The main criteria in the ranking were such factors as the relevance of educational programs and educational literature, the novelty of the subjects taught, the level of employment and the average salary of graduates, as well as questionnaires. Detailed information on the Specialty "Information Systems". University was ranked as one of the top among the universities in category Top Institutions, subject area Computer Science - 12th rank, subject area Social Sciences - 14th rank. Computer Science – Sapargaliyev D. (5 rank). Social Sciences - Sapargaliyev D. (8 rank). Economics, Econometrics and Finance - Alzhanova N. (14 rank), Smykova M. (86 rank). 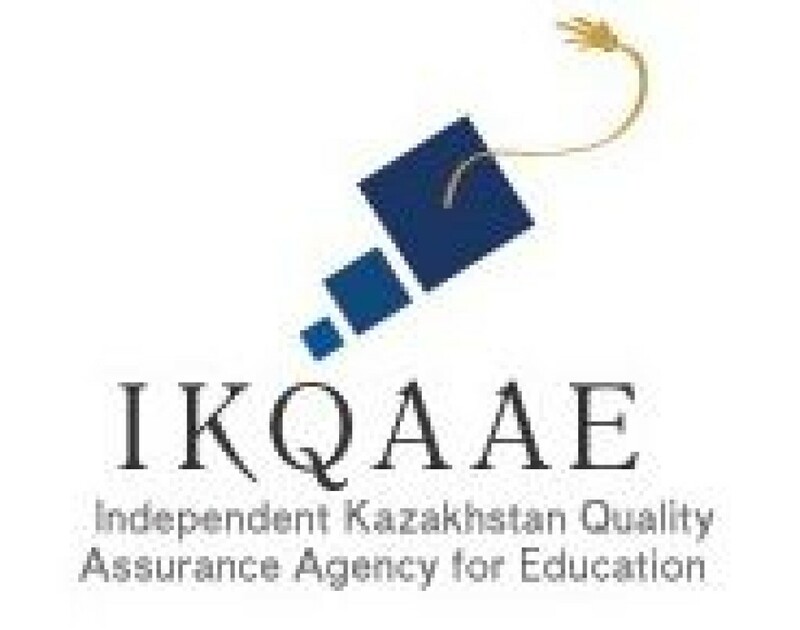 On the 15th of June, National Ranking of the best Humanitarian and Economic HEIs of Kazakhstan in 2018 was published by the Independent kazakh agency for quality assurance in education (IQAA). Almaty Management University has been awarded 3rd place in the institutional rating IQAA, collecting 82.42 points in total. The evaluation was carried out according to the following criteria: effectivness of HEIs performance, expert evaluation, reputation among employers. 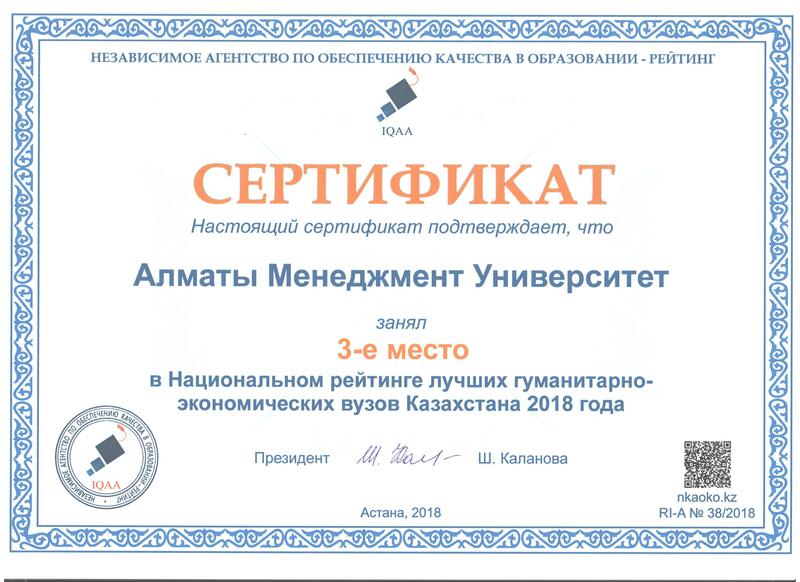 Certificate awarded Almaty Management University for 3rd place in National Ranking of the best Humanitarian and Economic HEIs of Kazakhstan in 2018. 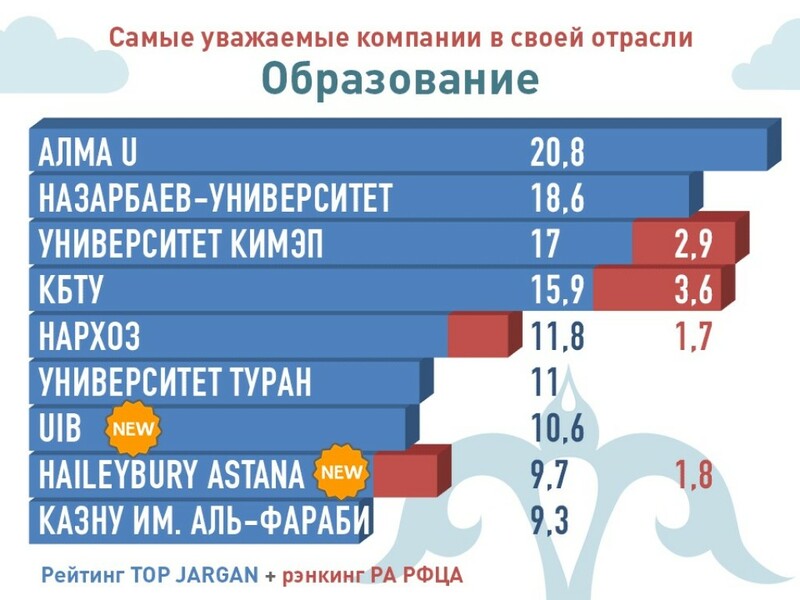 On the 15th of May, the list of 20 best universities of Kazakhstan in 2018 was published by the Independent Agency for Accreditation and Rating (IAAR). 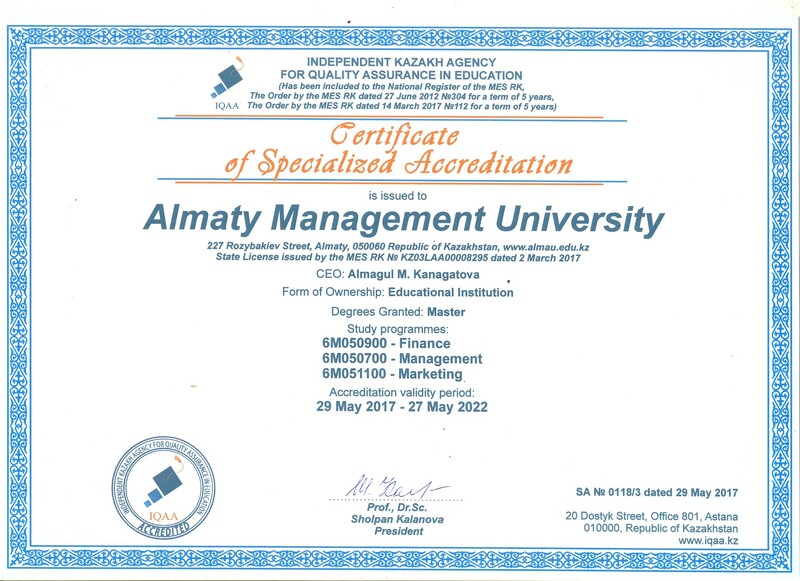 Almaty Management University has been awarded 18th place in the institutional rating IAAR, entering the TOP-20 leading universities of Kazakhstan. 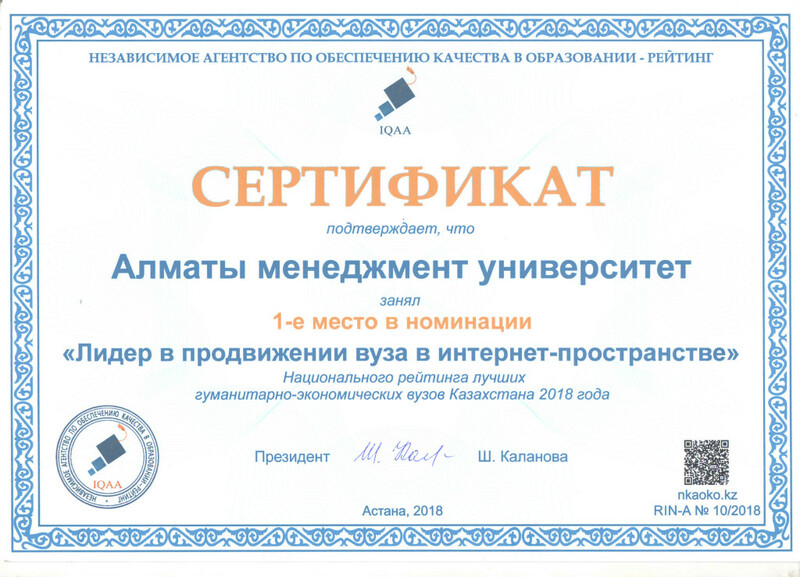 Moreover, AlmaU has achieved 9th place in preparing specialists of “social sciences” and 3rd place of “public relations”. 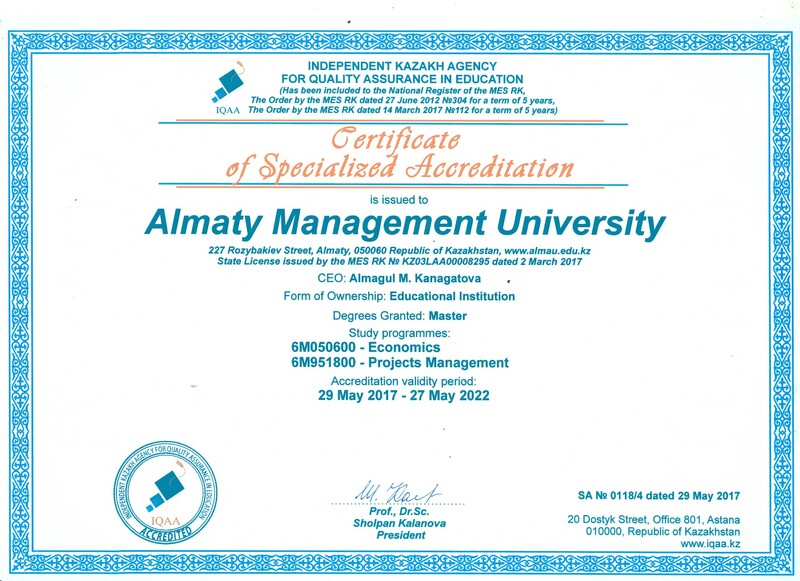 Almaty Management University ranked third among the business schools of Central Asia according to the Eduniversal version. 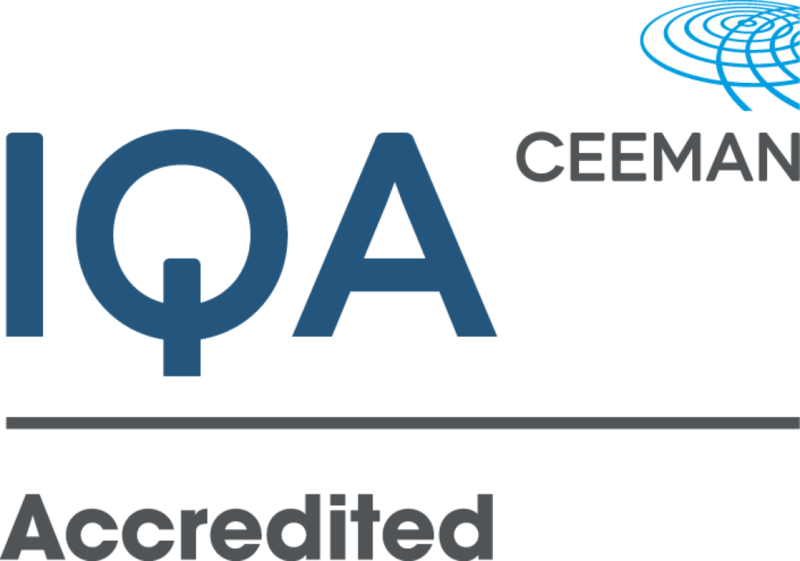 Awarded CEEMAN European institutional re-accreditation in quality of business education. Programmes of GSB-AlmaU are the only AMBA_accredited and re-accredited in Kazakhstan and Central Asia. In the CIS region, apart from AlmaU, only 8 Russian business schools have AMBA for 5 years. 5. 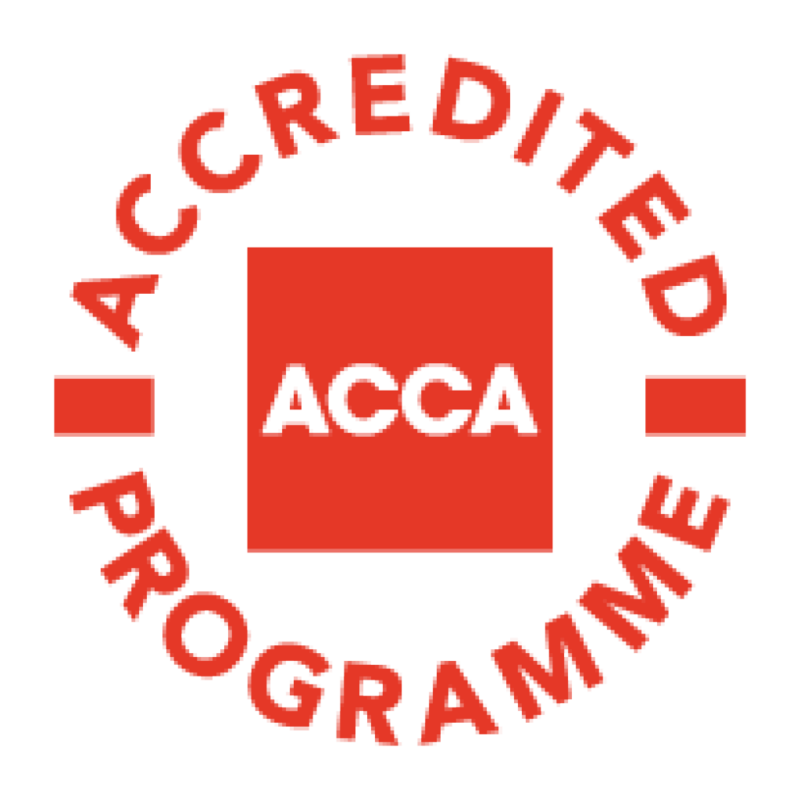 5В091200- "Restaurant business and hotel business"
Accreditation by Association of Chartered Certifed Accountants (ACCA) of Accounting and Audit Bachelor level programme is the world's most recognized qualification accredtitation that is aimed at providing professional development in the area of finance. Restaurant and Hotel Business – Position 2. Speciality «MANAGEMENT» undergraduate – Position 3. Speciality «MARKETING» undergraduate – Position 4. Speciality «MANAGEMENT» graduate – Position 4. Speciality «ECONOMY» undergraduate – Position 8. 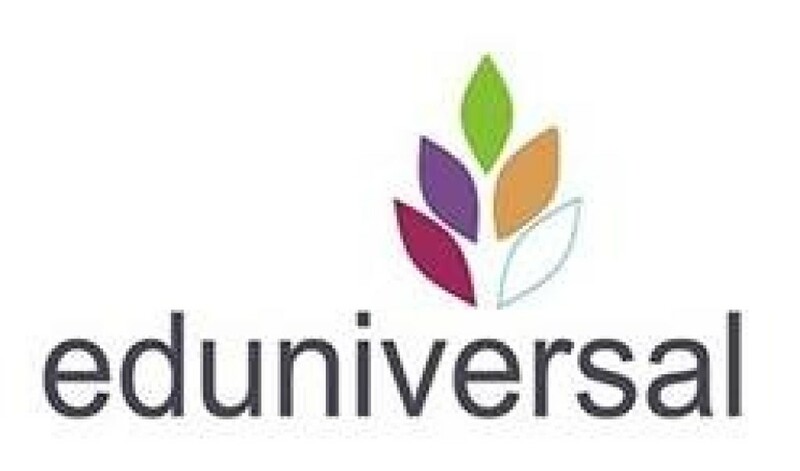 Speciality «FINANCE» undergraduate – Position 9. People connections – Position 2. Regional Studies – Position 4. Social sciences, business and economics – Position 4. 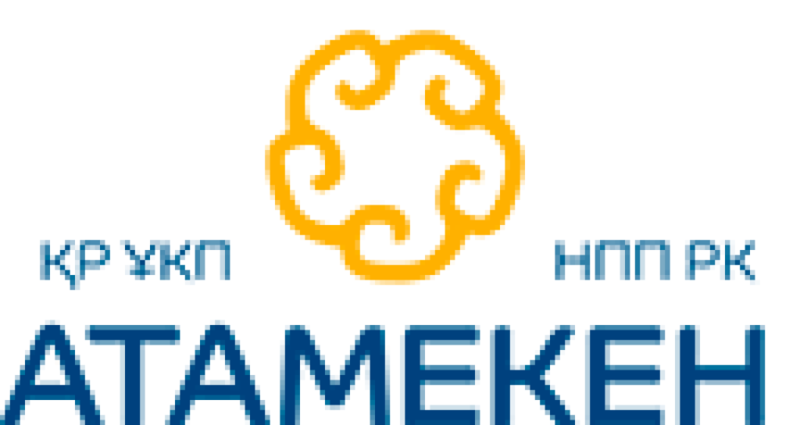 Speciality «MANAGEMENT» graduate – Position 1. Speciality «MARKETING» undergraduate – Position 2. Speciality «FINANCE» undergraduate – Position 3. Speciality «ACCOUNTING AND AUDIT» undergraduate – Position 4. 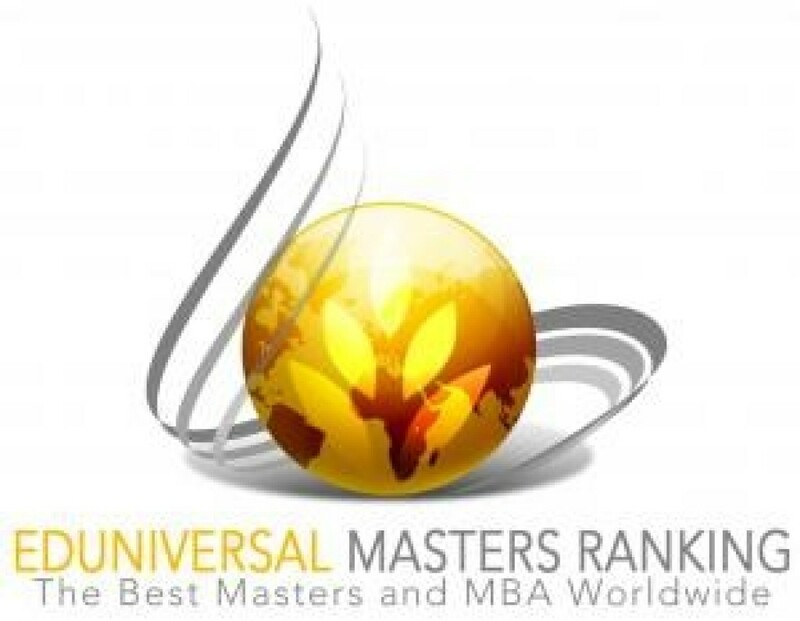 Obtained Eduniversal rating’s fourth Palme, making it into the top 300 business schools of the world. In 2008 to 2011 IAB was recognised the #1 school of business in Kazakhstan by the global rating agency Eduniversal with three Palmes. People’s quality mark “Impeccable” by Kazakhstan’s National League of Consumers. 21 Сентября Независимое казахстанское агентство по обеспечению качества в образовании (НКАОКО) опубликовало победителей в нескольких категориях. Алматы Менеджмент Университет занял 1-е место в номинации “Лидер по интернационализации” а также занял 1-е место в номинации “Лидер в продвижении вуза в интернет пространстве”.